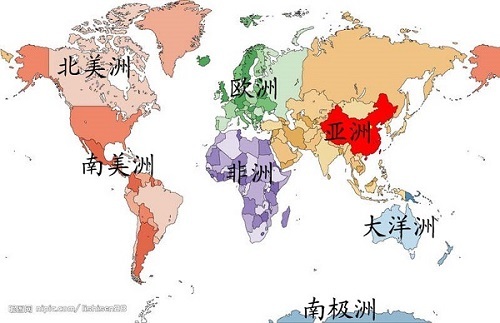 Continents are nouns same as countries in Mandarin Chinese. Its adjectives are formed by adding the character “de 的” at the end of the noun. The person of the continents are formed by adding the character”ren人“at the end of them.